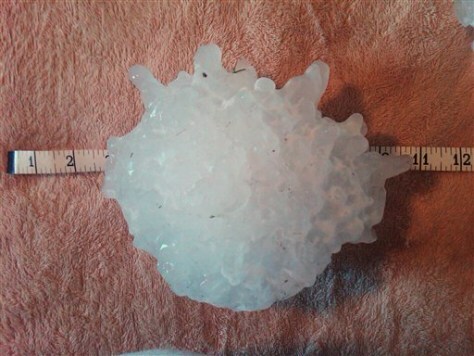 The 1-pound, 15-ounce hailstone fell in Vivian, S.D. This hailstone was found by a ranch hand in Vivian, S.D., on July 23, 2010. At 1 pound, 15 ounces it is believed to be the heaviest ever to have fallen in North America.